I have enjoyed boning up on my biological soil crust knowledge during my first few weeks here. Here’s a crust picture I took on a trip to the Canyonlands National Park Needles District back in January 2006. This crust probably took decades if not centuries to get to this point. 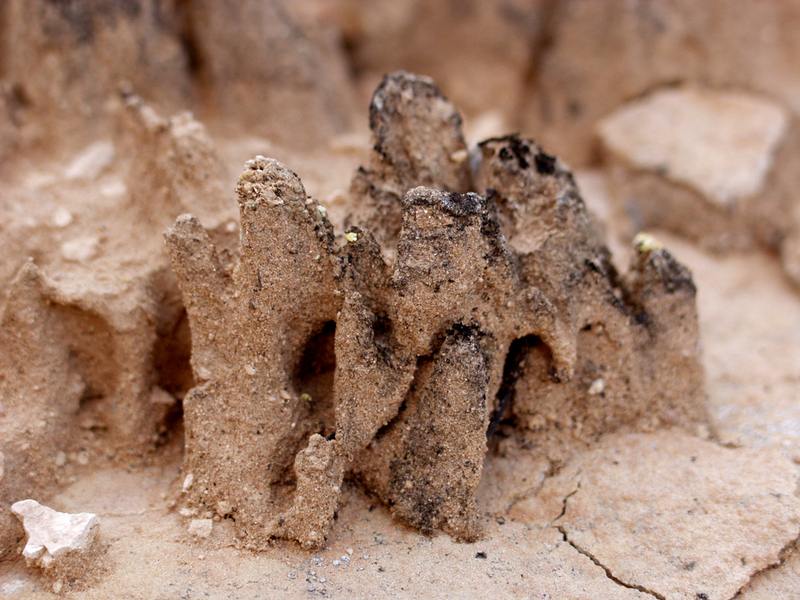 These “pinnacled” crusts only form in dryland areas with cold winters like here on the Colorado Plateau. The structure is created by freeze-thaw cycles. It’s got tons of great information and hopefully some of my work here will be able to contribute to our more general knowledge of how this cool component of dryland ecosystems might respond to the forces of global change we are inflicting upon them.